Greenstone Beige opaque w/ picasso 15 x 7mm leaf. 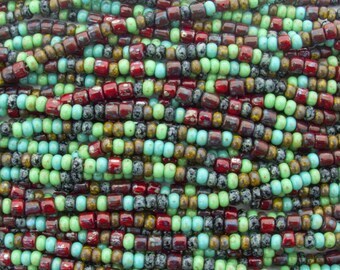 Set of 8, 15 or 30. Yellow opaque w/ picasso flat 10mm flower link. 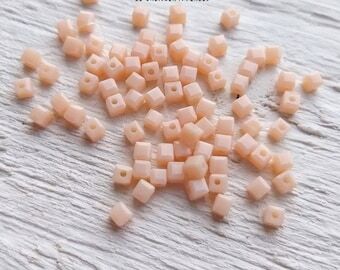 Set of 15 or 30. 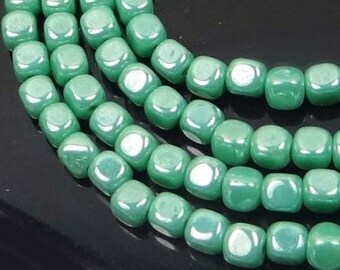 Turquoise glass opaque with picasso finish 20 x 10mm table cut diamond beads. Set of 4, 5, 10 or 20.